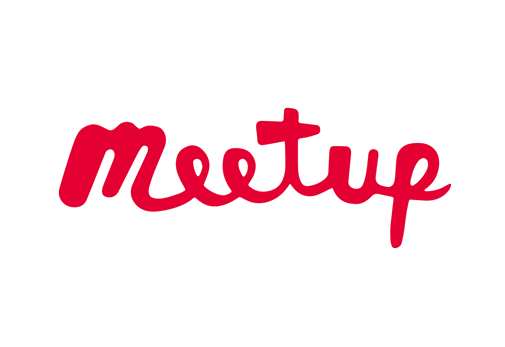 Updates, Events, Workshops, and More! Hi there, w elcome to our 7th Newsletter! We hope you're enjoying the bounty of Spring and are excited about creating community right here in Novato! 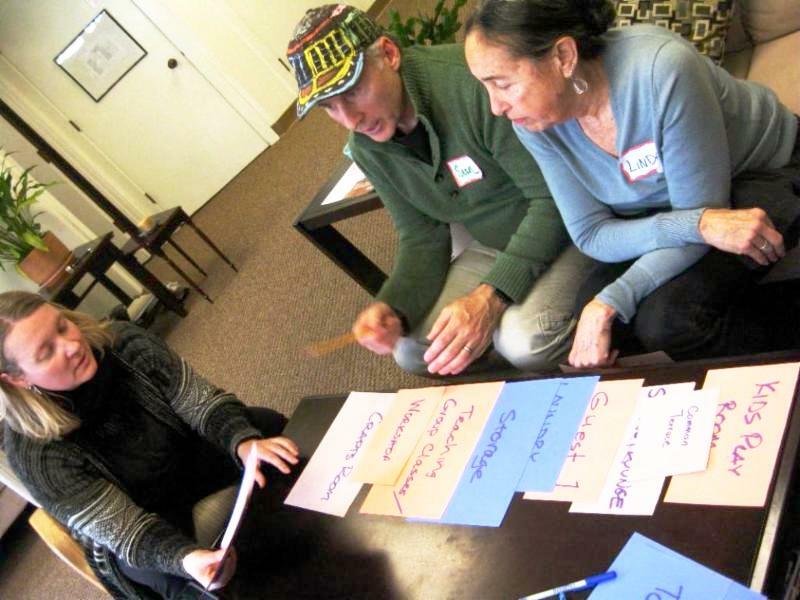 Why are we creating cohousing in Novato? Well, for one thing, it's a great way to raise kids. 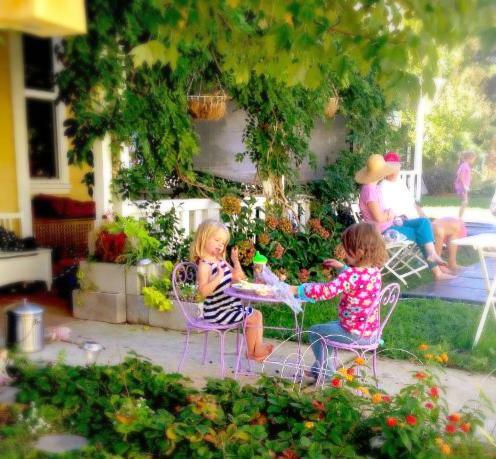 In this article from Sac Parent, Nevada City Cohousing parents were interviewed about their experience living as a family in this type of "modern village." 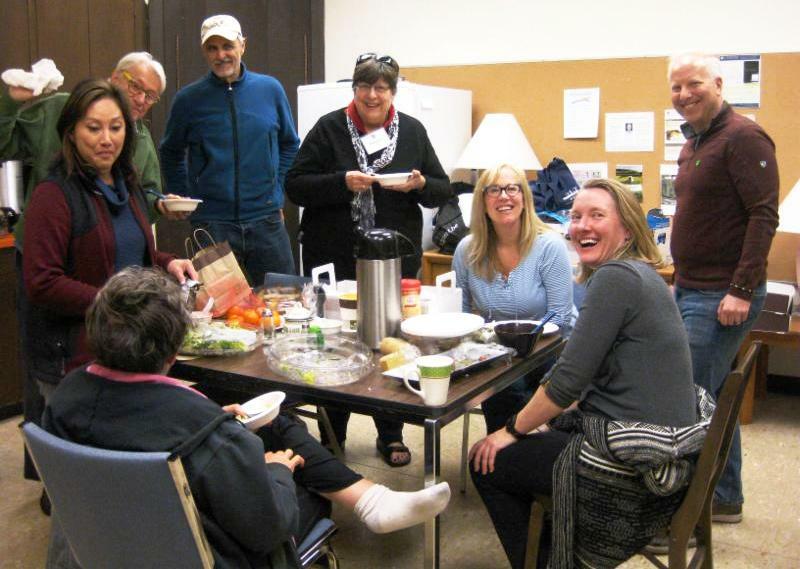 "There's an ease to socializing in cohousing," Chris says. 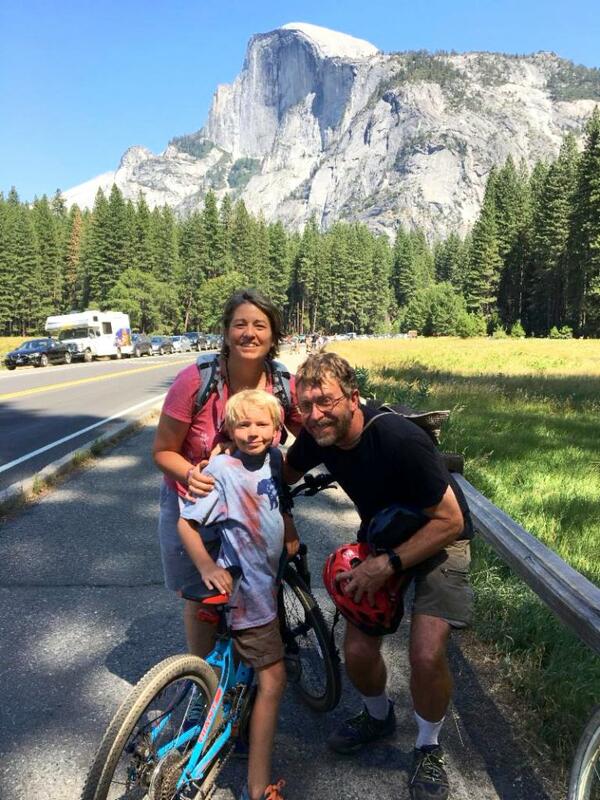 "Not only does our son, August, have positive reinforcement from other adults, there's this beautiful awareness that my wife Caroline and I, and many other parents, are all on board and invested in this community's kids." 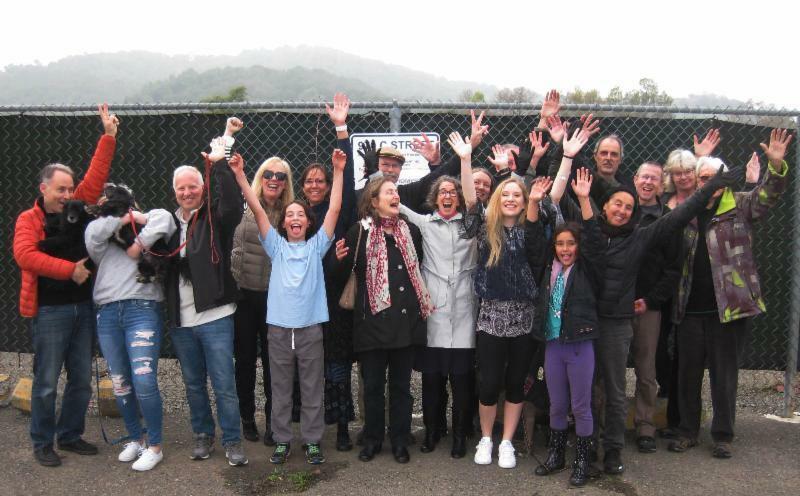 Read on to hear how YOU can get involved in creating a family-friendly cohousing community in Marin County. The kids at Nevada City Cohousing chatting on the main pathway. 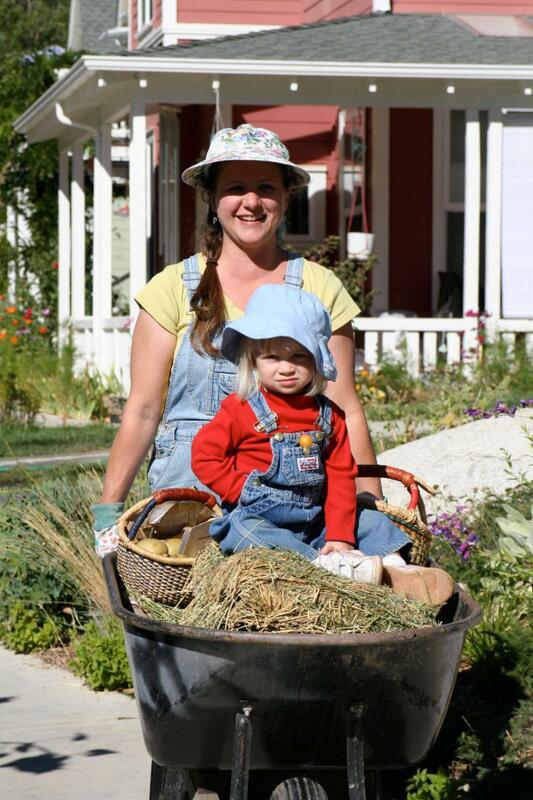 Come and see why KIDS AND PARENTS LOVE COHOUSING! Hear about the new intentional neighborhood coming to Novato (known for its good schools and open spaces) while kids enjoy snacks and activities. This event includes time to get acquainted with some of our members, and a short presentation to answer your questions. This event is for new families with young children (up to age 16 - by 2020) . Light refreshments will be provided. Kids are welcome! We currently have 5 families in our intergenerational cohousing community and we have space for at least ten more families with children: spread the word to your friends and family. Following our last meet and greet, we welcomed 2 more families into our community for a total of 5 families and 13 people with grown children. Please RSVP by emailing marincohousing@gmail.com or on the Facebook Event Page . We have signed a purchase and sale agreement to obtain our site! We are expecting to complete the purchase next year after obtaining City approval and a construction loan. Please contact us at marincohousing@gmail.com . 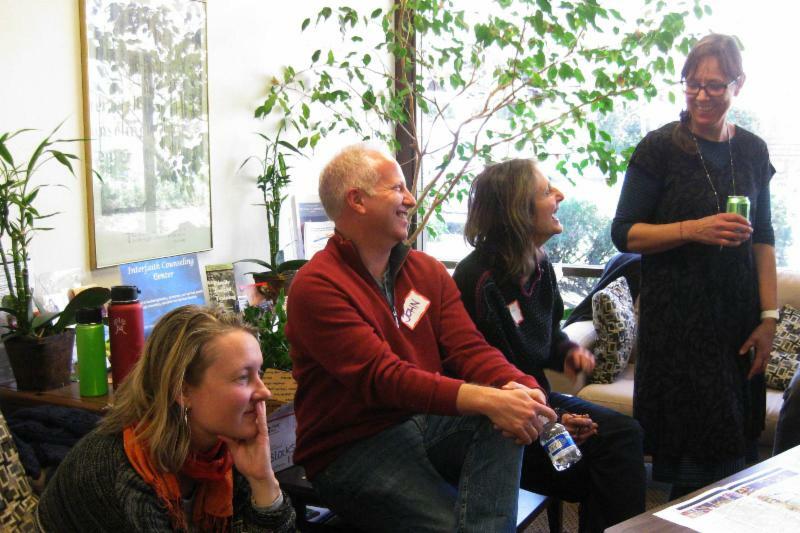 You can also follow us at Novato Cohousing Now (on our Facebook Page ) and on our website . Growing awareness is essential, but what we really need are future neighbors seeking to live in community in the 2019 timeframe. We understand commitment takes time. So please join us at an upcoming event to find out more as we continue the momentum toward designing our community. We recently completed two workshops with our architect. The first one was the overall site design where we played with blocks arranging the houses on our site. 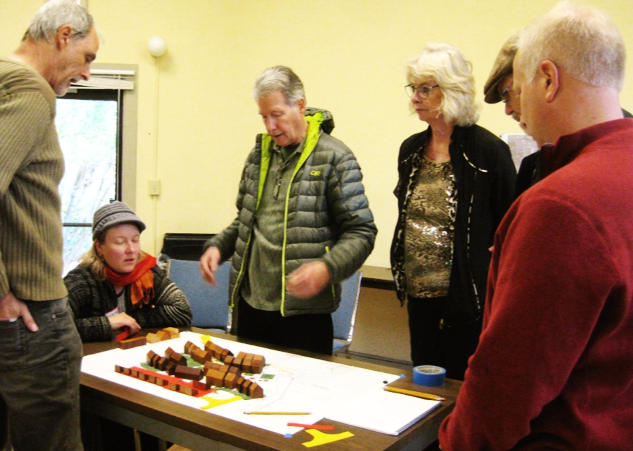 During the second workshop we designated uses for our 4,000 sq. ft. Common House where we will share meals, have parties and enjoy activities. Several of our core group with a draft arrangement of blocks representing houses. Pictured in clockwise order are Paul, Catherine, Bill, Lynn, Thomas and John. We tried several arrangements before we all consensed on a design where all houses were arranged in an east-west direction with the Common House at the edge of the parking. Catherine, Sean and Linda are arranging activities for the Common House during our second workshop. We agreed to have 10 rooms in a 4,000 sq. ft. in a two story building. Three groups prioritized rooms using a “bubble sort method” and we agreed on one list at the end of the sorting process. Rooms that made the cut include: kitchen, dining room, bathroom(s), sitting area, guest room, kid’s room, teen room, multipurpose room, laundry and storage. 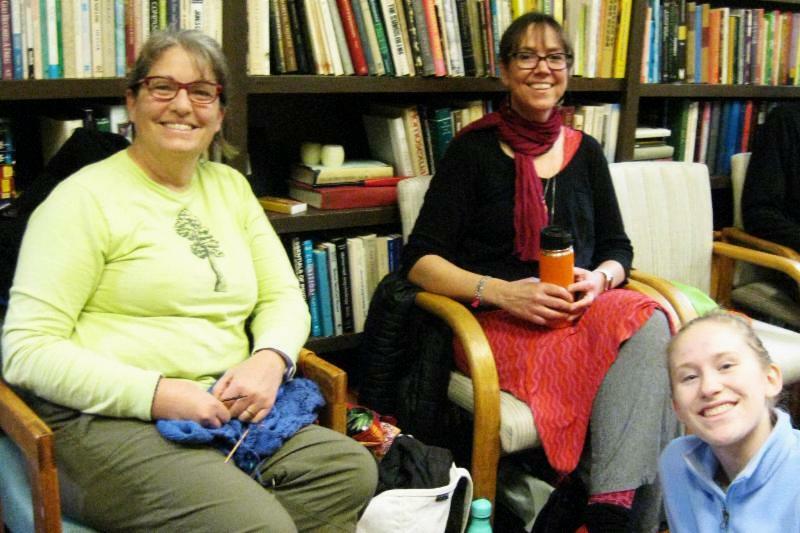 Two of our Mothers (Emily and Elina), and Ely (daughter of John and Cathy) at our Common House Workshop. And some more images of the group... We're creating community before the houses are even built! Talk to us about how you can be part of creating of this sustainable, family-friendly neighborhood! Emily is the stewardship director at a local Episcopal church and likes to hike and knit. Doug is a physicist who designs, builds and conducts research on high-field MRI devices and is learning to play the ukulele. Nathan is finishing 5th grade while perfecting his Lego construction skills. 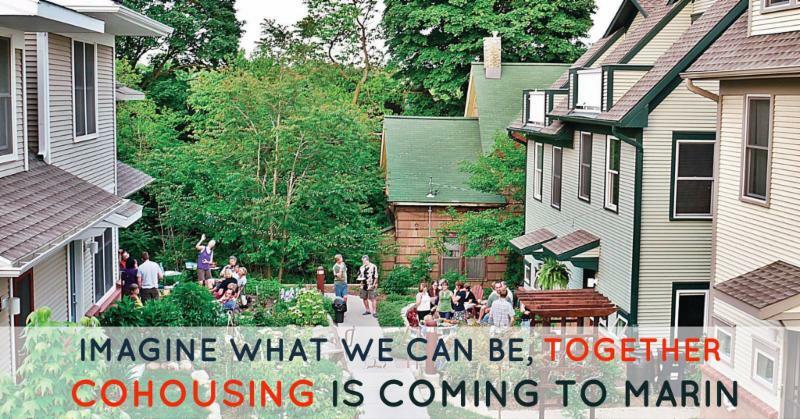 ​"We are very excited about the cohousing model as so much research shows that happiness is directly correlated with strong social ties and a robust community life. Having attended the recent Common House planning workshop with Charles Durrett, the project architect , we were sold on the idea of spontaneous ping pong games and music jams happening after a community meal. This, coupled with access to our own private home seems ideal. It’s an overused concept but nevertheless is profoundly true, it takes a village." 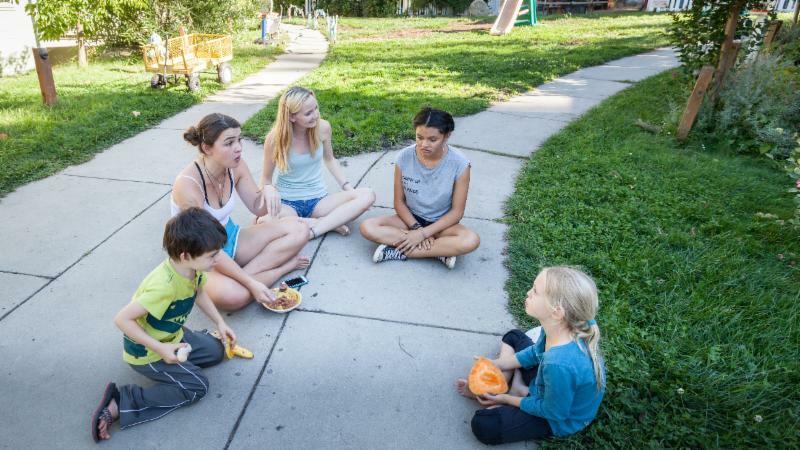 "Is Cohousing a Co-op, a Homeowners' Association, a Commune?" 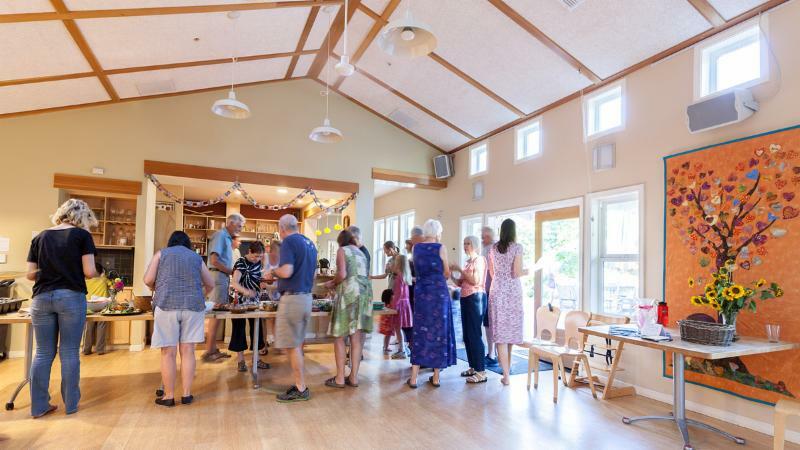 The cohousing living arrangement is [typically] a homeowners' association because they are often structured as condominiums and are legally governed by a home owners' association and condominium documents. But more to the point, cohousing is an "intentional neighborhood." 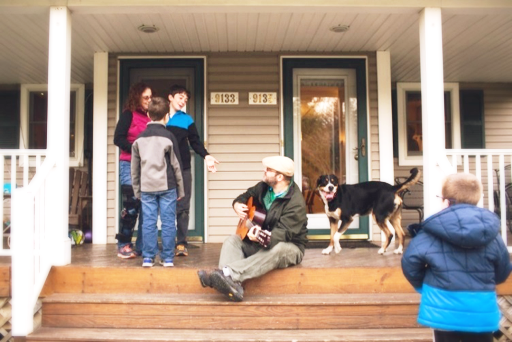 "We live together because we want to know our neighbors and interact with our neighbors." "It's like the old-fashioned neighborhood of the future." "We have common meals when we want to, although we have our own places too. [A common meal] saves me a lot of work." Typically, cohousing features privately owned condos and/or townhouses that are oriented to promote community, supplemented by generous common facilities. The Common House is a community-hub where meetings, parties and other gatherings take place. Some amenities the Common House may include: mailboxes, a kitchen, a great room with dining tables and a fireplace, a playroom, a TV room, workshop, multi-purpose room, a guest room, an office, a laundry room and reading nook. Outside features may include a hot tub, garden, playground, piazza and backyard hammock. The grounds and parking lot are common space as well. This is a chance for families who came to our last Meet and Greet to interact with the whole group. If you're considering becoming a member, this would be a good time to reconnect. This event is for new families with young children (up to age 16 - by 2020). Light refreshments will be provided. Kids are welcome! RSVP to marincohousing@gmail.com or on our Facebook Page.